Chloë Atkins is the type of patient that every doctor dreads— presenting with a plethora of symptoms that don’t offer any obvious medical explanation. There are multitudes of such patients in a GP’s roster and most, thankfully, will not turn out to have serious illness. But there are a few who do, and as Atkins’ book points out, this can be a harrowing experience. Atkins turned out to have an atypical presentation of myasthenia gravis, and it took nearly 20 years to get this sorted out. As doctor after doctor was unable to find a diagnosis, her syndrome was labeled as psychosomatic, and Atkins chronicles the increasing hostility of the medical profession toward her. The book presents the stark reality of how medicine falters when faced with uncertainty. Doctors notoriously resent uncertainty, and this becomes quickly manifest in the doctor–patient relationship. We all have those “difficult” patients, and Atkins bluntly puts herself in that category, candidly admitting that she “burned people out”. That doctors are uncomfortable with ambiguity shouldn’t come as any surprise, based on our education that is grounded in the seeming solidity of facts. But there is also the element of fear: which of these many patients with vague and varied symptoms harbors a serious illness? This needle-in-the-haystack pressure is compounded by the unfortunate reality of short outpatient visits (or overflowing inpatient wards). 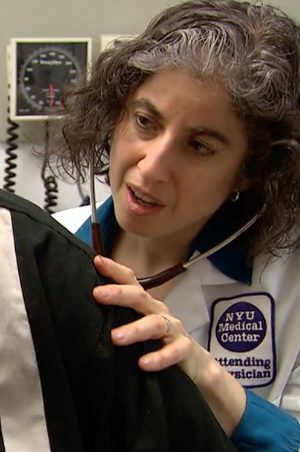 It is impossible for even brilliant doctors to discern complicated, mysterious illnesses in 15 minutes or less. By now, most physicians have abandoned the blatant “it’s all in your head” fall-back. Most of us feel that the chronic pain syndromes, irritable bowels, and fibromyalgias do indeed have biological basis, even if poorly understood. But stress does wreak additional havoc on these illnesses, so it’s not unreasonable to work to ameliorate this. Most of us view these illnesses as “syndromes” of some sort, and try to manage both the biological and psychological sides. Atkins is furious at the medical profession for not diagnosing her illness earlier and for not taking her symptoms seriously (she calls the book a “justice narrative.”). Her anger is entirely understandable. But in reading the book, I had to honestly wonder whether her condition was actually possible to diagnose. Even the clinicians who took her seriously were stymied by uncharacterizable symptoms and conflicting test results. Even if every doctor had been the paragon of attentiveness, respect, and doggedness, it is quite likely that this rare disease with its atypical presentation would have been missed. Atkins’ argument that her doctors’ attitudes were the cause of her misdiagnosis is the most tangible shortcoming of the book. Certainly these attitudes are shameful, harmful and in need of addressing, but it’s not possible to draw the conclusion of causality in such a complex and inscrutable case. 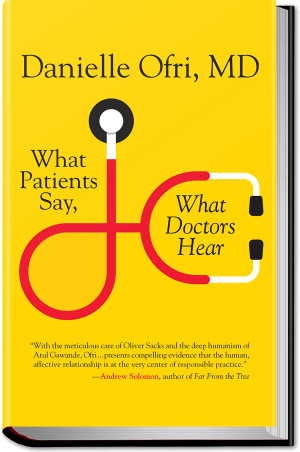 This book is the first in a series entitled “How Patients Think”, a complement—or retaliation, depending on your bias—to Jerome Groopman’s How Doctors Think. Patients, however, are much more heterogeneous than doctors, so such a series will likely offer a host of individual experiences that may or may not be universal. But this still has immense value. Doctors easily fall into the trap of categorizing patients, and we need reminding of their individuality.